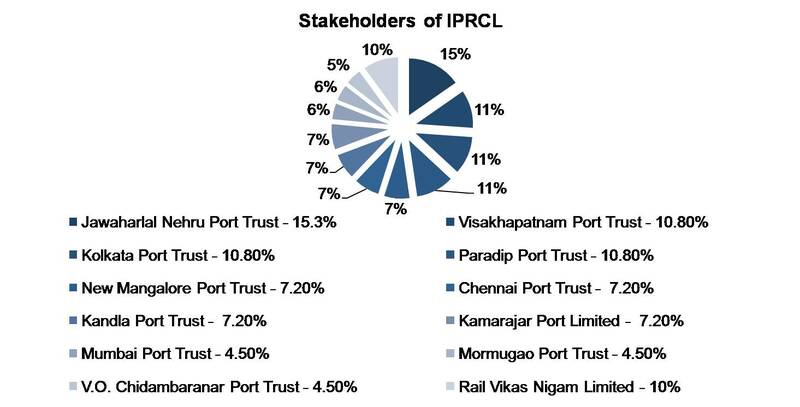 Indian Port Rail Corporation Limited, a Joint Venture Company between the 11 Major Ports (under the Ministry of Shipping) and Rail Vikas Nigam Limited (RVNL) as equity shareholders. Established as public limited company under the Companies Act, 2013, with initial authorized capital of Rs. 500 crores. The initial subscribed share capital is Rs.100 Crore.